ISL Light has been my preferred go-to remote support solution for many years. It is easy to use. Customized client executable can be configured to go right into the remote desktop without requiring the end user to click on anything beyond running the executable, which is nice. Sometimes the user interface is counterintuitive. Closing the main remote desktop window does not close out the session, as the chat window is the main window. This can result in draining out per-minute coupons if the chat window is minimized and one does not remember to close it out. If you use pay per use coupons, be extremely careful to close out the chat window when the UI window is closed, because it can create the impression like the session was ended but the chat window can continue to count up the minutes until exhausted. This product is used by my company to support I.T. support clients, to take remote control and perform tasks. "Great product and great support (lot's of extras)"
There a not that many realy good tools for remote support. More expensive ones aren't always better exquiped or suited for the job. There support via online chat is perfect and also available for many hours (+8) in the day. 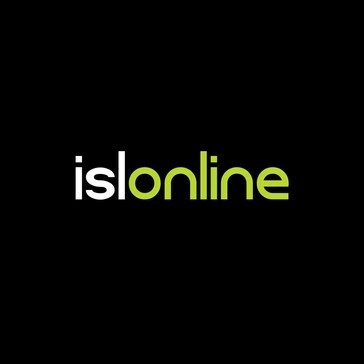 "My experiance with ISL Online"
Reliable and fast connections. Quite easy to use for both technician and end customer. I also like sorting remote computers to folders. Mobile version is useless. The cursor is hard to control, it just slides away if you are too fast. Its not a dislike, more of a suggestion - two factor verification for the main app and also single computers. For some computers I would love to have higher security. Try it and you won't be sorry. It's a great tool for remote connections. Technical support for various users with 1001 problem. I saved a lot of time and money for travelling expanses because I am able to efficiently work remotely. "Very useful. It saves me a lot of time." Most important. I am immediately available to my customers. I do not waste time with transportation and this is also cheaper for my customers. When I am in the office and working on a PC, I use the ISL for Windows operating system. I use ISL on my Android operating system outside the office. Both of them work perfectly, even when I use the internet in roaming. Data usage is low. In short. I'm satisfied with the ISL. What do I not like? In fact, for what I am using ISL I do not have any comments and I do not know what to write in this section. I recommend to everyone involved in remote schooling. My job is to help with learning with specific software for controlling in diets. In addition to learning, I help customers solve nutritional problems. Easy to use, secure and robust connections to remote computers. Also supports remote restarts and automatic reconnecting. Audit logs and session recording are a big plus. In earlier versions of software I sometimes had issues with keyboard mapping, but that was resolved in later versions. Would recommend it to anyone looking for a remote support software. Saves me a ton on travel time and expenses. I can solve more than 90% of client's issues remotely. "ISLOnline helps me resolving technical issues on business clients' side"
Most helpful is the ease of setting the session with a client. There are no technical/network issues while setting the sessions. Additionally, navigating someone to start the session without any prior knowledge of ISLOnline is simple. Sometimes the operating system might discourage the user to run the downloaded executable file before running the session. Anyhow, since the client is contacted via separate channel (phone or IM), this is not much of a problem. Check out the on-prem deployment option. This is the most secure way of having such a solution on premise. Resolving issues configuring client's systems (e.g. emailing system, problems with setting up development environment) or similar. "Makes support easier a lot"
take the time and the moeney to install ISL light at your customers workstations - you can give a faster response to their problems, without installing a remote desktop software at this point. "ISL is simple, straightforward and it simply works." Remote support. The main goal to be able to give support immediately. "A professional remote desktop solution"
Its no-frills feature set, not hiding any "advanced" features behind a friendliness gate. Allowing RDP access is also a big plus. More unified looks in the UI would be a plus. 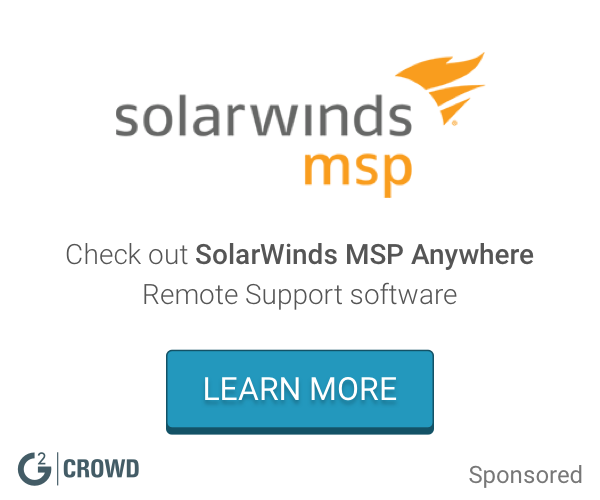 A very compelling alternative to other remote desktop solutions. Coinsider these before more known alternatives for its enterprise-grade feature set. Secure access to my computer without the need for RDP, while still allowing a RDP fallback when necessary. Save time, when your clients need help with software or if they just have to send you files too large for email. Sometimes software dosen't work on clinets computer, btu i'm not sure is that a problem with client computer, software or computer knowlege of clinet. For some clients it is hard to explain how to connect. Benefits are that is not closed in HKOM network. I liked the most how easy it is to use the program. I dislike the high price of the product. "Very Happy with Support and Product"
Very competent Support. Quick and professional respond. Pricing of everything is fair. Webgui is a little bit overfilled and complicated. We do Remote Support with Support Companies and Supplier. Also we do customer support. Super easy to setup and use. Fast & reliable. I don't have any problems with this software. I couldn't run my business without a fast & reliable remote support ..
* We monitor all ISL Light reviews to prevent fraudulent reviews and keep review quality high. We do not post reviews by company employees or direct competitors. Validated reviews require the user to submit a screenshot of the product containing their user ID, in order to verify a user is an actual user of the product. Hi there! Are you looking to implement a solution like ISL Light?